ISLAMABAD, Dec 2 (APP): Chairman Securities and Exchange Commission of Pakistan (SECP) Zafar Hajazi Friday said company incorporation has registered significant increase after the introduction of Companies Ordinance 2016. Addressing a press conference here he said that after the introduction of new law about so far 40 companies of different sectors have been registered. He said the introduction of Companies Ordinance 2016 would help to further enhance business activities by facilitating the businessmen across the country. He said law was introduced after detailed consultation of different stakeholders by incorporating their suggestions and proposals to facilitate the business community in the country. The SECP has simplified the companies registration process by replacing the old law and companies incorporation has witnessed over 12 percent increase as compared to last year, he added. He said before the implementation of the Companies Ordinance 2016 due deliberation was made and about six seminar in all major cities of the country were organized in order to get input from different stakeholders and business community. Zafar Hajazi said suggestions and proposals for further improving the law would be welcomed in order to make it more effective. He said the SECP would organize commissioner conference for over viewing the law again and making it more effective and align with the future needs. He said it would also improve the efficiency of the public sector enterprises by bringing the transparency in appointment of the management of these enterprises. He said the SECP has introduced several steps for facilitating the businessmen and further simplifying the companies incorporation process. The Companies Global Register of Beneficial Ownership-Section 452 of the Companies Ordinance 2016 relates to Companies Global Register of Beneficial Ownership. 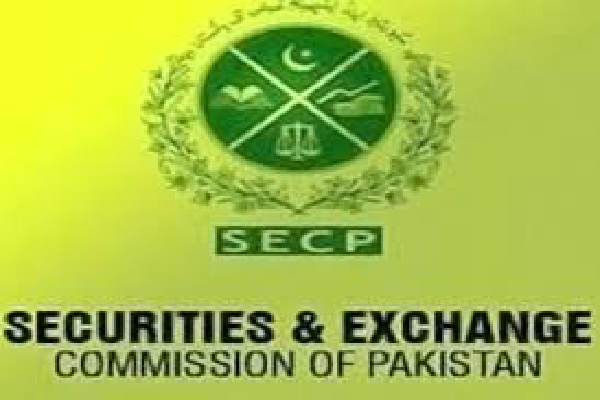 The chairman SECP said it provides that every substantial shareholders or officer of a company incorporated under the Companies Ordinance, 2016 having 10 percent or more shares in a foreign company and a body corporate shall report to the company regarding the details of his shares held in a foreign company on a specified form within 30 days of acquiring such position. The company shall submit such information received from its shareholders to the registrar along with annual return on a special return specified for the purpose, he added. He said the commission shall keep record of the information received in a Company’s Global Register of Beneficial Ownership. The section also provides that any investment in securities or other interest by a company incorporated under the companies ordinance in a foreign company or a body corporate shall also be reported to the registrar along with the annual report, he added. Any contravention or default in complying with the above provisions shall be deemed as an offense and liable to a fine, he added.